Hello from me, Chopper. I want to share World Environment Day with you. It’s our chance to work together to focus and strengthen our efforts to preserve nature for our two-legged and four-legged friends. World Environment Day was started by the United Nations long before Otis and I were born—way back in 1974. This special day encourages worldwide awareness and action for the protection of our environment. It is widely celebrated in over 100 countries now! World Environment is the day for people (and pets) to do something for the planet. This year’s focus is plastic pollution. You can’t go through the day without encountering plastic. In fact, 50% of the plastic people around the world use is single use. With one million plastic drinking bottles purchased every minute around the globe, it adds up quickly. Our friends in the ocean are being caught in disposable grocery bags. Single-use plastic straws wind up in the ocean, getting stuck in turtle’s noses. No one wants their friends to suffer. The convenience of plastic is catching up with us. One third of plastic packaging doesn’t land in the trash, which means it’s scattered on the streets and in nature. Up to 13 million tons of plastic leak into the oceans each year, smothering coral reefs and threatening marine wildlife. It can take up to 1,000 years for plastic in the ocean to disintegrate. In short, it’s threatening life on Earth. We’re pleased to announce our participation in World Environment Day this year. Otis and I are doing our part to reduce plastic pollution. World Environment Day is a day to take action and form new habits to help nature. We’ve come up with some simple actions you can take for the June 5th event, and you can implement them into daily life. Bring your own canvas or cotton bags to the grocery store. Pack your lunches and leftovers in glass containers or fabric wraps. Skip disposable plastic utensils. Enjoy silverware instead. If you must use disposable, stick to corn or bamboo utensils. Recycle as much plastic as possible. Clean the inside, remove labels and glue from single-use packaging and take it to the local recycle center. Look at how much plastic you use in a day. See if you can make any reductions. Pick up plastic you see on your walkies with your best friend. 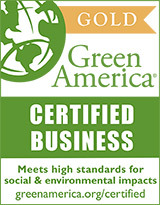 Chopper & Otis strives to offer eco-friendly products. We have two suppliers who are standouts at the recycling effort. First, Cycle Dog toys are made from recycled materials. EcoLast toys are made from recycled bicycle tubes, reducing landfill waste. Duraplush toys are stuffed with shredded plastic bottles. (Duraplush toys are a fantastic way to #BeatPlasticPollution for World Environment Day 2018). Additionally, Planet Dog recycle toys are also made of recycled materials. Returned or defective toys are combined with toy-making scraps to make new toys. Giving toys a new life reduces waste in landfills and oceans. For World Environment Day 2018, we are offering a special deal on Cycle Dog and Planet Dog Recycle toys. If you buy two toys, you get one free! Enter code WED2FOR1 at checkout or use this link to order now. Your best friend will love you for your Earth-friendly efforts (and the fun toys)!